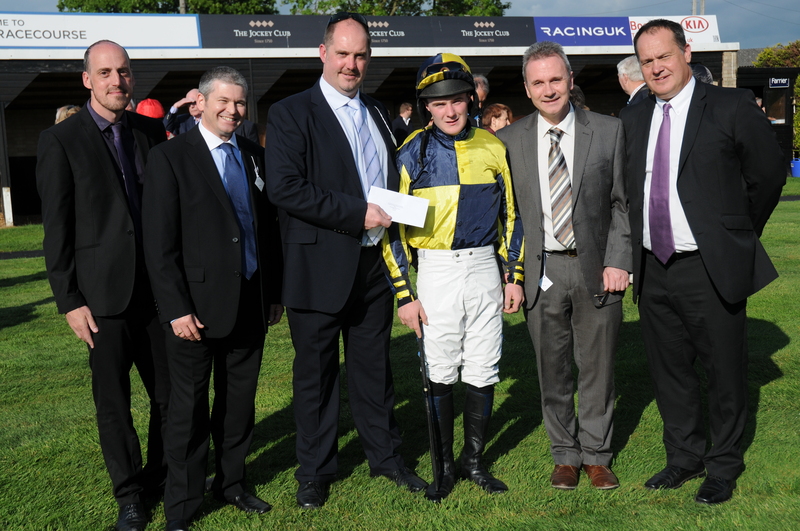 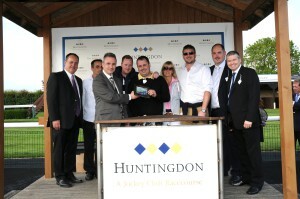 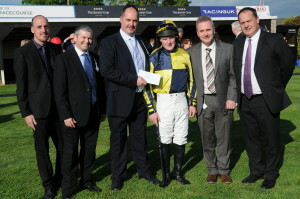 Flexitrans’ Director Jim Ritchie presenting the winning prize to the owners of the horse “Celtic Artisan”. 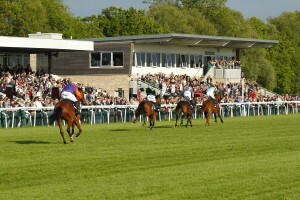 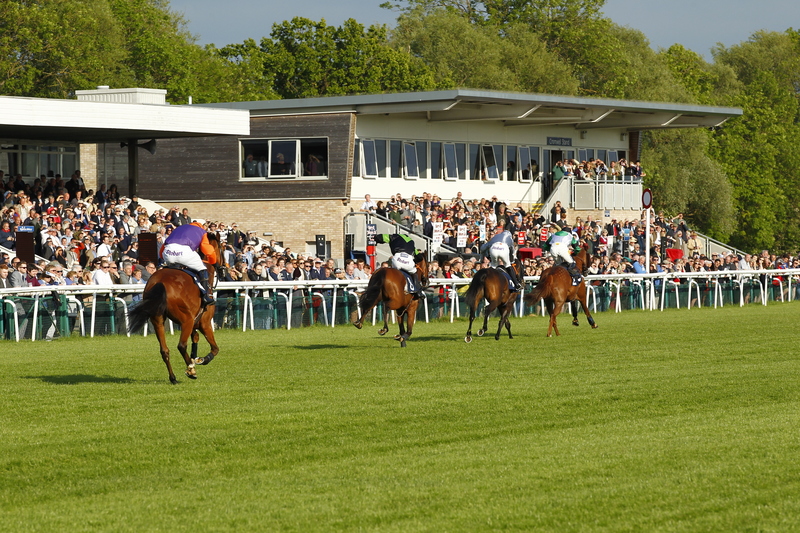 “Celtic Artisan” in action, winning the Flexitrans 10th Anniversary Conditional Jockeys Handicap Hurdle. 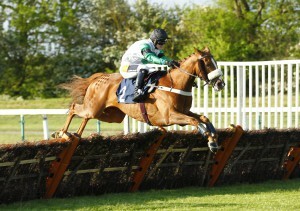 The other runners watch on as “Celtic Artisan” strides to victory.